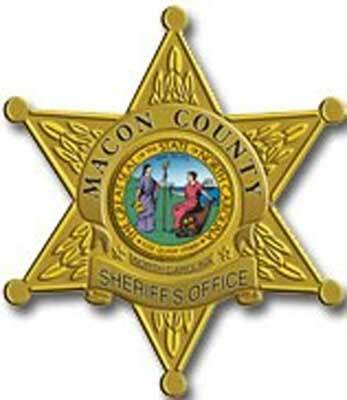 The Macon County Sheriff’s Department, Franklin Police Department or Jackson County Sheriff’s Department made the following arrests December 28 – January 11. All suspects are innocent until proven guilty in a court of law. Crystal Dawn Bates, 38, of East Franklin, was charged with parole and probation violations. A secured bond of $15,000 was set. Scott Nelson made the arrest. Derek Michael Bryson, 30, of Highlands was charged with first degree trespassing, drug violations for equipment/ paraphernalia, possession of methamphetamine. A $2,500 bond was set. William D. Stamey made the arrest. Jeffery Michael Jones, 34, of Cullasaja, was charged with possession of methamphetamine, possession of a controlled substance in jail, driving while intoxicated. A $2,500 bond was set. Blake A Buchanan made the arrest. Sevastian Lopez Ramirez, 36, of Cullasaja, was charged with domestic criminal trespass, breaking and/or entering. No bond was set. Matthew W. Bowman made the arrest. Tony Lee Hurst, 53, of Otto was charged with possession of methamphetamine, possession of drug paraphernalia, possession of marijuana paraphernalia. No bond was set. Matthew W. Bowman made the arrest. John Patrick Roquemore, 31, of Clayton Ga., was charged with possession of methamphetamine. A secured bond of $3,000 was set. Matthew W. Bowman made the arrest. Christopher Thomas Edmonds, 48, was charged with trafficking in methamphetamine, maintaining a store, dwelling, vehicle, boat or other place, possession of drug paraphernalia. A secured bond of $25,000 was set. Matthew W. Bowman made the arrest. Ana Chenoa-Lefaith Cook, 30, was charged with trafficking methamphetamine, maintaining a store, dwelling, vehicle, boat or other place, possession of drug paraphernalia. A secured bond of $25,000 was set. Matthew W. Bowman made the arrest. Damon Rayvonn Miles Sr., 49, was charged with drug violations for possession of methamphetamine, drug violation for equipment/paraphernalia. A secured bond of $90,000 was set. Matthew T. Breedlove made the arrest. Sarina Lynn Collins, 34, was charged with resisting a public officer. A secured bond of $2,000 was set. Matthew T. Breedlove made the arrest. John Patrick Roquemore, 31, was charged with failure to appear. A secured bond of $2,000 was set. Matthew T. Breedlove made the arrest. Curtis Joseph Brusky, 48, of Otto, was charged with driving while intoxicated, speeding 67 in 50 zone. An unsecured bond of $1,000 was set. Blake A. Buchanan made the arrest. James Allen Gibson, 37, of Otto, was charged with misdemeanor probation violation. A secured bond of $5,000 was set. Mike Langley Sr. made the arrest. Wylene Elizabeth Wall, 27, was charged with failure to appear for possession of drug paraphernalia, misdemeanor probation violation, possession of drug paraphernalia. A secured bond of $13,500 was set. Mike Langley Sr. made the arrest. Joey Lee Mathis, 38, was charged with parole and probation violations. No bond was set. Scott Nelson made the arrest. Leslie Junior Cox, 58, of Betts Mill Rd., Auburn Ga., was charged with parole and probation violations. No bond was set. Scott Nelson made the arrest. Nicholas William Ford, 24, of Ulco Dr., was charged with possessing/concealing stolen property. An unsecured bond of $50 was set. Jonathan C. Bean made the arrest. Doralyn Marie Massung, 18, of West Blvd., was charged with possessing/concealing stolen property. An unsecured bond of $250 was set. Jonathan C. Bean made the arrest. Branden Henry Thomas Meadows, 19, of Clyde St., was charged with selling or delivering a controlled substance to a minor, paraphernalia possessing/concealing. An unsecured bond of $2,000 was set. Jonathan C. Bean made the arrest. James Christopher Franklin, 30, of Waynesville, was charged with trespassing. A secured bond of $1,000 was set. Robert G. Ray III made the arrest. Monique Danielle Webb, 24, of Old Murphy Rd., was charged with trespassing. An unsecured bond of $2,000 was set. Jonathan C. Bean made the arrest. Adrienne Nichole Carver, 28, of Old Highlands Rd., was issued a judge order for failure to pay/possession of stolen goods. A secured bond of $1,500 was set. Jonathan C. Bean made the arrest. Raymond Brian Plank, 44, of Rufus Robinson Rd., was charged with failure to appear for driving while intoxicated alcohol and/or drugs. A $2,500 bond was set. Celestine A. Holloman made the arrest. Chadwick Errol George, 42, of Poplar Tree Ln., Whittier, was charged with misdemeanor larceny. A $500 bond was set. Robert D. Nicholson made the arrest. Bianca Jean Dardeen, 25, of Old Mission Rd., Cherokee, was charged with failure to appear for possession of drug paraphernalia, simple possession of a scheduled VI controlled substance, possession of methamphetamine. A $15,000 bond was set. Daniel B. Wellmon made the arrest. Nikki Nichole Crowe, 24, of Mink Branch Rd., Cherokee, was charged with failure to appear for felony larceny. A $5,000 bond was set. Sean K. Bryson made the arrest. Matthew Sampson Armachain, 22, of Hayes Lossiah Rd., Cherokee, was charged with resisting a public officer. A $750 bond was set. Lucas T. Brooks made the arrest. John Dustin Hall, 39, of Leatherwood Rd., was charged with possession of drug paraphernalia, possession of methamphetamine. No bond was set. Scott B. Walters made the arrest. Denise Shalene Downs, 25, of Shadrack Ln., was charged with possession of drug paraphernalia, possession of methamphetamine. A $10,000 bond was set. Edward J. Smith made the arrest. Michael Brett Burton, 27, of Tunnel Mtn. Rd., was charged with failure to appear for failure to give information/ aid, driving while impaired. A $4,000 bond was set. Darrell J. Brooks made the arrest. Jessilyn Sky Jones, 23, of Slim Dillard Rd., was charged with trespassing. A $1,000 bond was set. Zachary D. Gibbs made the arrest. Kallup Earl McCoy, 29, of Hornbuckle Dr., Cherokee, was charged with obtaining property by false pretense. A $10,000 bond was set. Lucas T. Brooks made the arrest. Jordan Elizabeth Littlejohn, 27, of Cold Mountain Rd., was charged with possession of marijuana less than 1/2 ounce, drug violations for equipment/paraphernalia not marijuana, possession/concealing weapons. A $3,000 bond was set. Zachary D. Gibbs made the arrest. Isaac Climbingbear Jr., 26, of Charlie Johnson Rd., Cherokee, was charged with assault on a female. No bond was set. Josh A. Yopp made a arrest. Karen Williams Day, 42, of Berry Mtn. Rd., was charged with failure to appear for driving while license revoked. A $6,000 bond was set. Darrell J. Brooks made the arrest. Samantha Nicole White, 46, of Main St., Bryson City, was charged with failure to appear for misdemeanor larceny. A $3,000 bond was set. Darrell J. Brooks made the arrest. Cody Jason Green, 20, of Violet Dr., was charged with assault inflicting serious injury. A $4,000 was set. Rollie L. James III made the arrest. Christopher Jason Woodard, 37, of Lemmons Branch Rd., Bryson City, was charged with driving while license revoked. A $1,000 bond was set. Edward J. Smith made the arrest. Karnorris Bernard Benson, 22, of Derby Rd., Cullowhee, was charged with assault on a female. No bond was set. Daniel B. Wellmon made the arrest. Scott John Galanick, 33, of Gallamore Rd., Cherokee, was charged with obtaining money/property by false pretense, possession of stolen goods/property. No bond was set. Robert D. Nicholson made the arrest. Kaitlyn Brooke Price, 22, of Big Witch Rd., Cherokee, was charged with larceny for shoplifting. A $500 bond was set. Rollie L. James III made the arrest. Katrina Lynn Cook, 28, of Fort Wilderness, Whittier, was charged with larceny. A $500 bond was set. Ernest A. Scherman III made the arrest. Benjamin Larry Parrish, 36, of Toohow Campground, was issued a true bill of indictment for failure to appear for maintaining a vehicle/dwelling/place for a controlled substance, trafficking in methamphetamine, manufacture methamphetamine. No bond was set. Edward J. Smith made the arrest. Michelle Dawn Standingdeer, 30, of Heath Trail Rd., Cherokee, was charged with failure to appear for school attendance law violation. A $5,000 bond was set. Darrell J. Brooks made the arrest. Sandford Lee Parker, 49, of Long Bow Ln., Whittier, was charged with failure to appear for obtaining property by false pretense, larceny by an employee. A $10,000 bond was set. Edward J. Smith made the arrest.